Uncategories Cohesive and Adhesive forces: Definition, differences and effects. 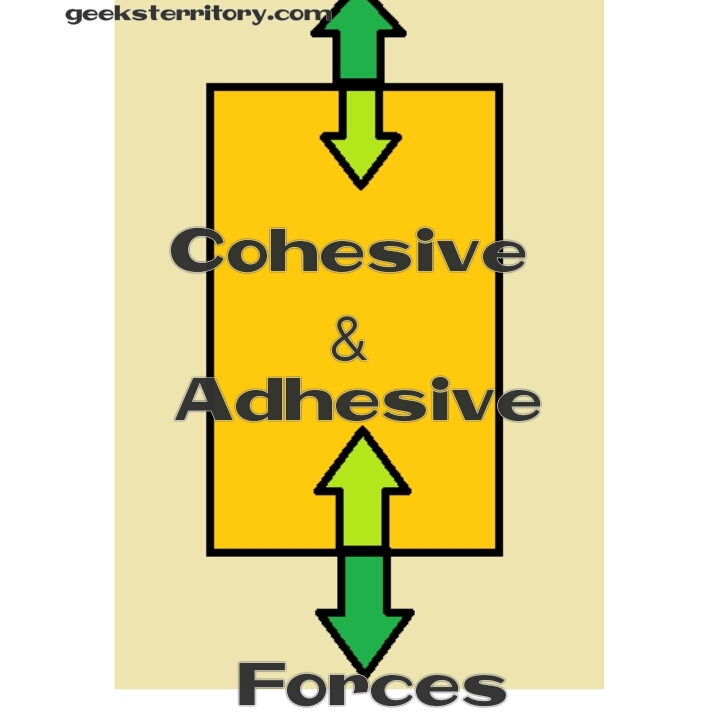 Cohesive and Adhesive forces: Definition, differences and effects. Someone emailed me and suggested do a piece on this topic. Well, for easy understanding of the concept of cohesion and adhesion force, i wrote this brief post. The force of attraction between the molecule of the same substance is called cohesion force. The force of attraction between the molecules of different substance is called adhesion force. Water has both adhesive and cohesive properties. 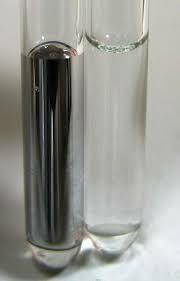 Adhesion of water to glass is stronger than the cohesion of water. hence, when water is spill ed on a clean glass surface it wets the glass. On the other hand, the cohesion of mercury is greater than the adhesion to glass. 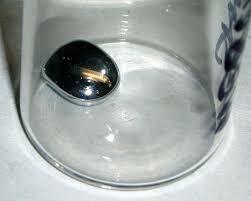 Thus, when mercury is spill ed on glass it forms small spherical droplet or larger flattened droplets and does not wet glass. Mercury forming a small spherical droplet on glass. 1) Surface tension: This is a property of liquid that gives it an elastic surface, this is as a result of cohesive forces between adjacent molecules. Here, the molecules at the main body of liquid are pulled equally in allowing directions by neighbouring molecules. Water because of this property, heavier objects with less force compared to surface tension to float across it. 2) Meniscus: This is the property of liquid that gives it a curved surface. It has both cohesive and adhesive properties. Meniscus property at the surface forming a concave and convex curve. If the cohesive forces between the liquid molecules is greater than its adhesive force, the surface will form a convex curve. If the adhesive forces between the liquid molecules is greater than the cohesive forces, the surface will form a concave curve. 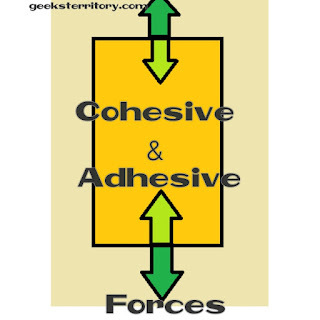 If both the adhesive and cohesive forces are equal, the surface is horizontal. 3) Capillary action: Here, the cohesive and adhesive forces work together to keep the liquid away from it's natural forces of gravity. 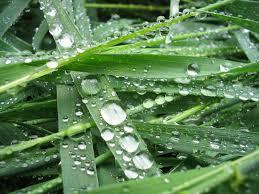 The cohesive forces causes the water to form droplets and the adhesive forces keeps the drop in place.